She blushed like a new bride as her mind wandered lazily through memories of delight and laughter shared over special meals. She hoped to add to those memories today. There wouldn't be as many of her loved ones at the table but she knew that it would be another moment to look back upon - and smile. Mom! Mom! Do you want to talk to him? Well? She did. And she knew exactly what the conversation would be. "I'll be home in half an hour or so," he said. "What have you made for lunch?" "Oh, just shrikhand-puri! ", she said in repartee. And they both laughed, like they did every day of the working week. This was a standard joke between them; one at which her daughters rolled their eyes, also every day. Shrikhand-puri is both festive and rich. Shrikhand involves at least 6 hours of prep time and deep fried puris were an occasional indulgence. It isn't daily fare for lunch, and certainly not on a weekday. "I am feeling quite tired." "It's one of your favorite things. It will make you feel better. Some tea, too." "I'll see you soon. I can't wait to come home." She went back into the kitchen and told her house-girl, Flora, that she needed help getting lunch ready as bwana would be home soon. 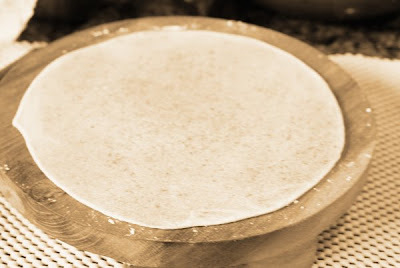 Flora was used to making phulkis and had also been trained to make parothas. "It's no different!" she asserted and proceeded to roll one out for Flora to see. She showed her how to cook them gently on the tava, without any ghee as the stuffing already had more than she would use normally. She called out to her daughters to lay the table but the music blaring from their room drowned her voice. She was about to do it herself when the phone rang again. He wasn't coming home. Ever. We didn't eat that day. At least I don't remember doing so. And, she never made sanzoris again. 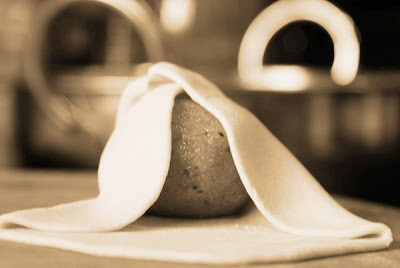 Add oil to the flour and knead it with water, adding as much as needed to make a soft pliable dough that is not sticky. Cover with a damp towel and allow it to rest while you get the stuffing together. Heat the ghee in a kadhai and when melted, add the farina and roast well, stirring constantly, for about 5-6 minutes. Ensure that the farina does not burn or turn dark brown in color. Add warm water and stir until it is completely absorbed. Cook on low until it comes together well. This is very like sheera without milk and dried fruits. Take it off the stove and allow it to cool. Shell the cardamoms and pound the seeds into a coarse powder and mix into the stuffing. If you decide to use saffron, warm about 1-2tsp of milk and add the saffron strands to it. Rub the saffron gently into the milk so that the milk absorbs its flavors. The color is not really of importance here. Add this to the stuffing and mix well. Divide the stuffing into 14-15 parts and roll into small balls. Heat a tava or griddle. Divide the dough into as many small balls as you have balls of stuffing. Roll out, stuff and cook each sanzori, following the instructions for parotha. 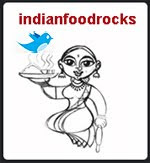 There is no need to add ghee while cooking the sanzori as the stuffing oozes ghee as it cooks. Fold over the sanzori about three-quarters of the way from the top and then fold it over on itself in half. Quite like chavde. Enjoy sanzoris warm or at room temperature. Sanzori is a great treat to take along while traveling or on picnics. I like to eat them with mango pickle. I know! I know! But then I eat sheera with mango pickle, too! I made sanzoris for Ganesh Chaturthi as Medha had never eaten these before. She did not take to them as much as I had thought she would. But as the pile of sanzoris thinned out, she wanted more. Now she wants to know when I will make them again. I will. Soon. Because the pain has been replaced by memories - happy ones. A fine, sensitive piece of writing, Manisha. Just lovely. I got goose bumps reading that. Good to know life has made you look at it differently. It is best to let go of the sad memories. Blogs are therapy you have just endorsed it. Hugs to you. Sanzori/ Satorya will grow on Medha and she will tell her kids the special memories behind it. that's life. bitter and sweet. but it goes on. i'm glad medha got to taste it. and likes it. Oh, such a sad story. 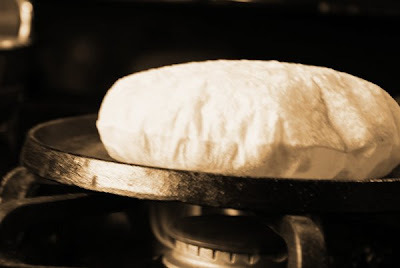 But with a sweet leavening. That is similar to sathori that my MIL used to make - only those were stuffed with a mixture of khoya and coconut, smaller and thicker, all purpose flour instead of wholewheat rava, and deep fried instead of cooked on a tava. :D What? The idea is still the same, no?! That really pulled the carpet out from under my feet; I wasn't expecting that at all. I don't think there could possibly be a better way of writing about that day; it was beautiful, simple, and sad...and really illustrates the preciousness of moments that we tend to pass off as trivial. Hugs to you- he loved these eh? Bu then on another note: where do you get off scaring away the newbies with a proclamation that shrikhand takes 6 hours of prep time?! :-D How hard is it to watch yoghurt drip into a bowl?! That is a very touchy post Manisha(like most of your posts). I have been thinking of making Sanjoori for a while now. V has never tasted it. Manisha, ur post truly teaches hw to move frm bitter to sweet! Tks yet again for posting this, the Sanzoris are new to me, shall surely try it sometime! Tks for sharing recipe! Manisha..I don't know you at all, but felt very touched reading this . It's beautiful writing and something that will stay with me. I'm happy you're making sweet memories with your little girl. Manisha, you have made a sweet memory for Medha. Life moves on ...Bitter and Sweet. My eyes welled up, dear Manisha...hugs to you...and yes, sweet memories do give us the strength to go on. very well written manisha...luved it!life is full of mixed emotions!Hugs! 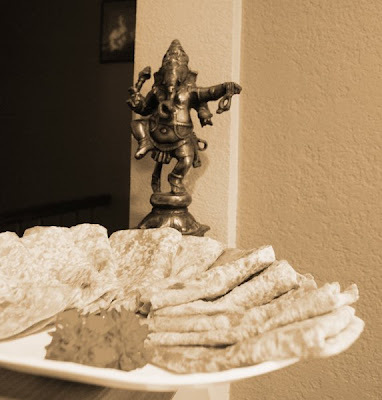 Food has a way of evoking memories Manisha, so glad that you have new memories of Sanzori. Big Hug! I call this sheera-poli.. now I know the real name. Manisha, a hundred hugs to u!